Ultra Transformation services are provided only by physicians or certified Ultra Transformation technicians working under physician supervision. Carrying extra fat is hard. It weighs you down, makes everyday tasks challenging, and affects your confidence. Losing fat can be even harder! If you’ve ever tried losing fat, getting in shape, or simply leading a healthier lifestyle, you know how hard it can be to see results. Non-invasive fat removal with lasers, heat, freezing, microwaves, and ultrasound kills the fat cells and takes months to show limited results — and the results are truly underwhelming. Each of those cell-killing body contouring technologies has the risk of serious complications and adverse outcomes such as scarring, infection, uneven skin, pain, and downtime from work and loved ones. 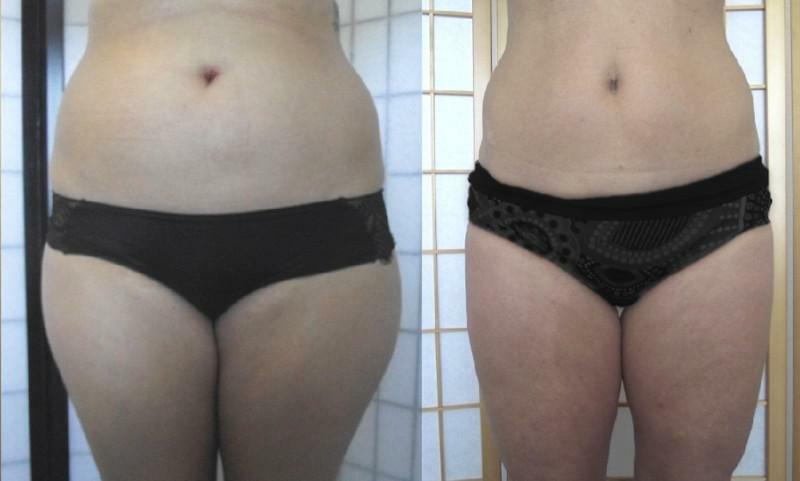 Liposuction provides instant results and a permanent solution. However, liposuction has risks and can be quite expensive, depending on the surgeon and facility. Non-invasive fat removal with lasers, heat, freezing, microwaves, and ultrasound kills the fat cells and takes months to show limited results — and the results are truly underwhelming. Each of those cell-killing body contouring technologies has the risk of serious complications and adverse outcomes such as scarring, infection, uneven skin, pain, and downtime from work and loved ones. Ultra Transformation can get you from where you are now, to the body you dream about. If you want just a little off your love handles for your upcoming wedding, or if you are looking to change your life and your whole body, Ultra Transformation is right for you. Whether you want to fine-tune your body contours, jumpstart lifestyle changes, or desire the more dramatic results of a whole body transformation, Ultra Transformation can help you achieve your goals. and enjoy a happier, healthier lifestyle. Ultra Transformation is for almost everyone. Whether you have stubborn fat in just a few areas or if you are looking for a full body transformation, Ultra Transformation is the easy way to have the body you deserve. 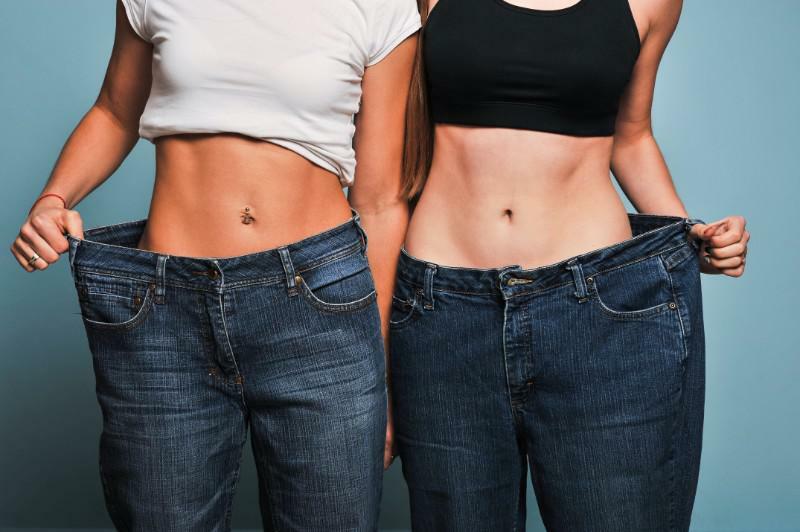 In multi-site clinical trials NCT02867150 at ClinicalTrials.gov, researchers demonstrated immediate fat loss for 100% of patients, with losses at each treatment averaging 1.6 liters and 3.5” combined from the waist, hips, and thighs. At follow-up visits a week later, patients had lost a total of 4.75” on average. Over 98% of patients lost at least 2” at each procedure. FDA approvals K160880 and K150336. U.S. Patents include 9498641 and 9044595. 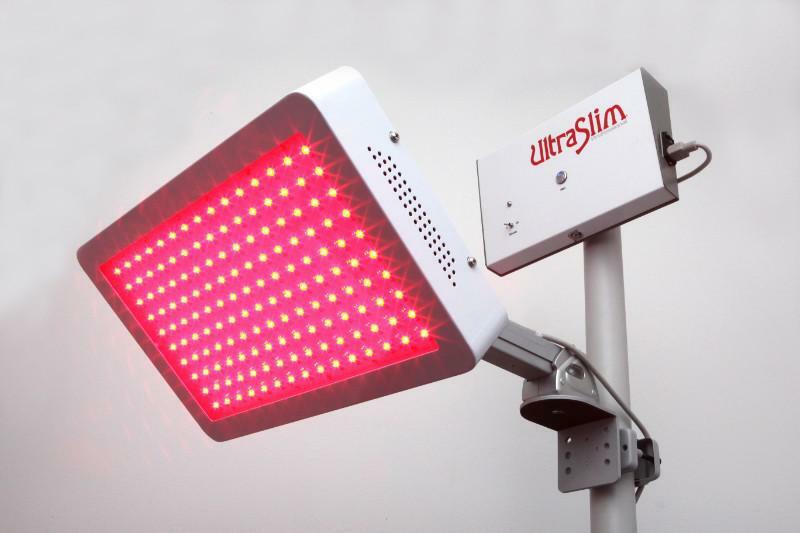 Ultra Transformation uses a special patented type of light to stimulate fat cells. The treated fat cells respond by opening temporary pores in the cell and emptying the fat cell contents, releasing all of that stubborn fat you just can’t seem to get rid of with dieting or exercise. Studies show that Ultra Transformation can reduce the size of fat by one-third in only 8 minutes. Each treatment is customized for you based on your individual goals and problem areas. Ultra Transformation works immediately, showing dramatic results before you leave the treatment room. The average patient loses 3.5” (54.1 fluid ounces) of pure fat! While Ultra Transformation achieves dramatic immediate results, all other non-invasive body contouring technologies take months to see even minimal results. As an added benefit, Ultra Transformation has been shown to produce collagen and elastin fibers which benefit the appearance of younger and tighter skin. .
Ultra Transformation treatments are performed with the only body contouring device which is rated as Risk Group 1, the safest category of medical devices and the same risk group as a tongue depressor. None of the other non-invasive body contouring devices are as safe. Only Ultra Transformation has no pain, no downtime, no side effects, and no adverse outcomes.